The Four Seasons Hotel London at Park Lane in Mayfair is a stately city haunt cuddled between Hyde Park and Green Park. Four Seasons hired France’s Pierre-Yves Rochon to revamp the interiors, which now seamless speak to classic British sophistication, contemporary expectations and Parisian palates. The 11-story facade features a stunning 10th-floor spa with floor-to-ceiling windows: This skyward retreat is open daily and year-round, giving glimpses at Big Ben and the London Eye. The Four Seasons Hotel London is close to popular attractions, including Buckingham Palace and the National Portrait Gallery. Nestled on the property’s 10th floor, The Spa at Four Seasons Hotel London is a towering, picturesque retreat. 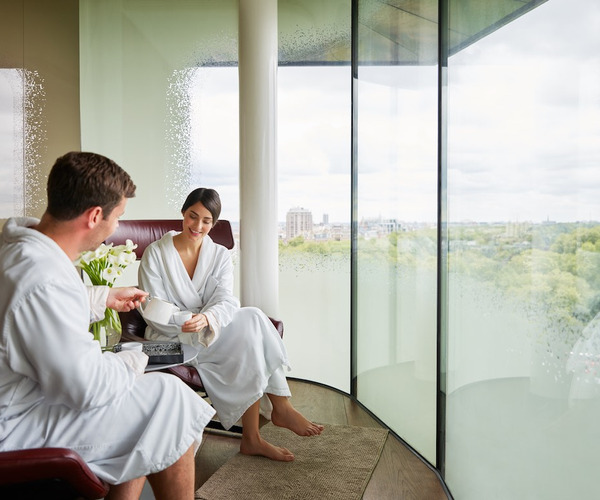 Its floor-to-ceiling windows fill the space and treatment rooms with natural light while opening up to the striking city and park views: Among the notable sights are Big Ben, the Houses of Parliament and the London Eye. The Spa continues Four Seasons’ tradition of locationally exclusive treatments here with one-of-a-kind Spa Rituals: The divine Four Hands at Four Seasons massage begins with a foot ritual before proceeding into a two-person, four hand massage. Meanwhile, the Hyde Park Awakening - which was created by the Organic Pharmacy - includes a foot soak, full body exfoliation and upper body and scalp massage. London-based cosmetic and dermatologic surgeon, Dr. Luca Russo, recently joined the Four Seasons family and now accepts appointments for minimally invasive facial injections like Botox, Juvéderm and Restylane. The Spa continually offers hot stone energy balancing, body wraps, facials, skin scrubs and salons services. Hotel gym goers can also take in the rooftop Fitness Center’s unobstructed views. While equipment is openly available to guests, private appointments must be made for Pilates, personal training and yoga sessions, as well as for physical therapy and nutritional consultations. The Four Seasons Hotel London at Park Lane caters to the most discerning travelers. As a Five Star locale, business travelers, families and vacationer's have their needs met willingly. Concierges, business services, laundry services and in-room dining can be called upon around the clock. Childcare, overnight shoe shining, laptop delivery and safety deposit boxes are amongst the distinguished services: There’s even an in-house florist. The convenient onsite Albemarle Theatre Desk allows patrons to book tickets for London’s top productions. The Albemarle Theatre Desk can also be reached by phone or email Monday through Saturday. 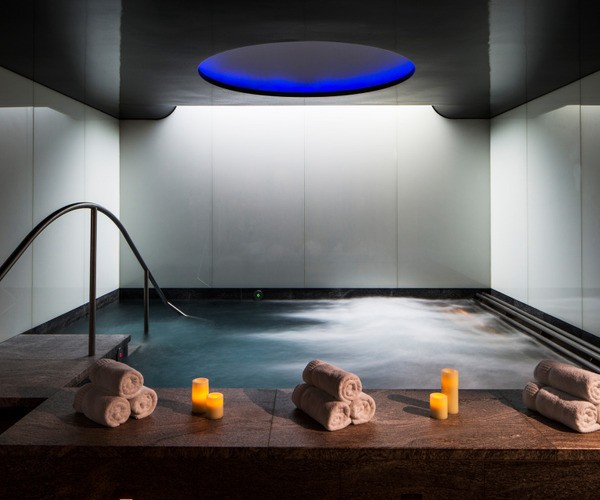 The Spa at Four Seasons Hotel London encompasses the property’s rooftop, housing a fitness center and luxurious treatment facilities - both with unmatchable views. Back downstairs, fine diners can savor Italian specialties or sip a cocktail at Amaranto. Splendor and sophistication define accommodations at Four Seasons Hotel London, exemplified by taupe tones and patterned fabrics. Single and multiple bedroom suites often flaunt fireplaces and open terraces. Concierges and room services can fetch orthopedic and hypoallergenic pillows upon request, as well as in-room dining 24-hours a day.